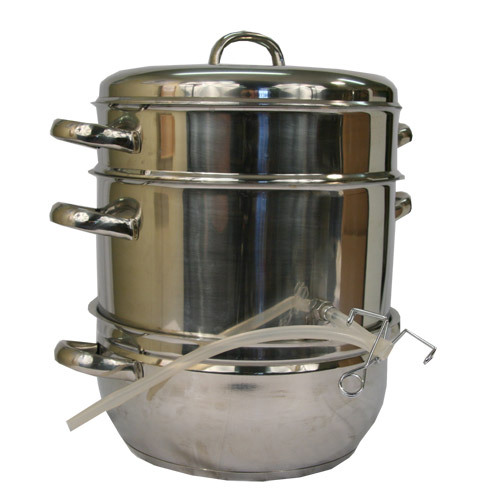 Extract the natural juice of grapes, berries, and other high-liquid fruits with the power of steam. Just boil water in the bottom container and place fruit in the top container. Natural concentrated fruit juice drips in the center pan where it can be extracted through a surgical-quality, heat-resistant tube. Use it for making jellies or store as concentrate for healthy natural fruit juice. 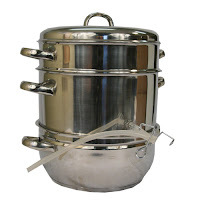 The Steam Juicer is also perfect for cooking soups and stews or steaming vegetables.